Residential secondary circuit calculations are routinely performed by designers when laying out new subdivisions. 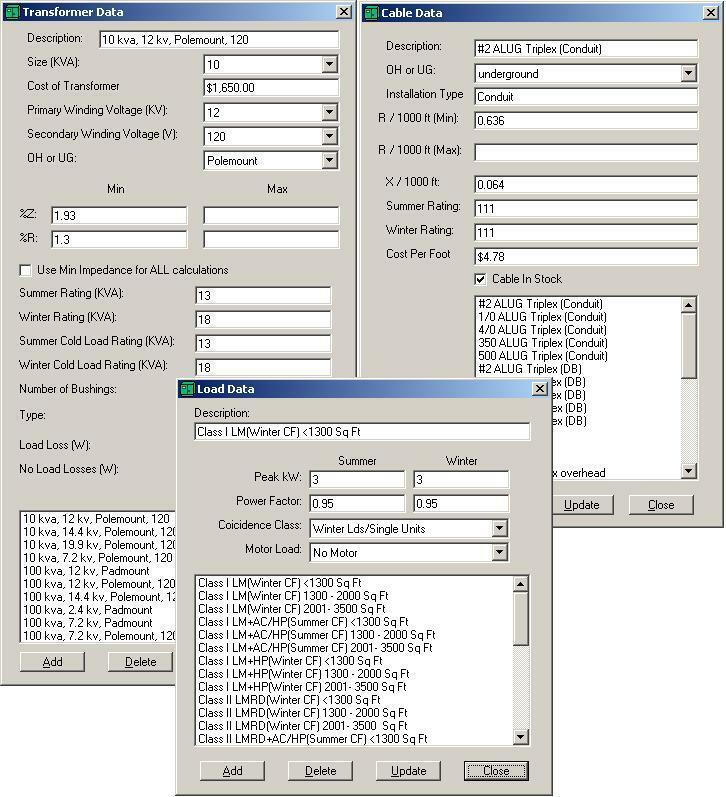 DSTAR has developed a new Secondary Electrical Design Software (SEDS) which allows the user to quickly layout a secondary design and easily assess performance measures such as voltage drop, flicker, loading and short circuit current using a customized load flow algorithm. SEDS includes load diversity in the calculations, and uses a sophisticated approach to calculating the coincident demand of dissimilar types or sizes of loads -- a situation which can give silly results using conventional coincidence tables. The recently developed optimization algorithm uses a member utility’s existing SEDS database, and employs a unique method to improve overall computational time while always finding the best solution in a defined pragmatic space. The optimization objective function can be set for lowest first cost or lowest total owning cost taking into account overall secondary system losses. SEDS is the ideal software package for helping planners design the most efficient secondary systems using standard equipment (transformers and secondary conductors) while meeting technical service requirements. 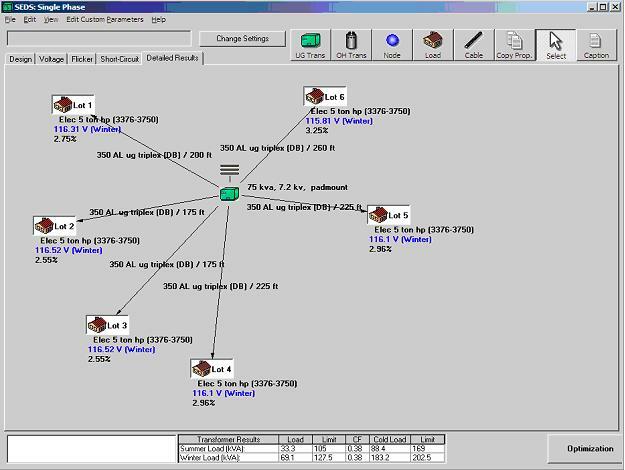 SEDS data selections are customizable, similar to the DSTAR Engineering Toolbox. The Administrator sets up the database with standard load types, cables, and transformers. 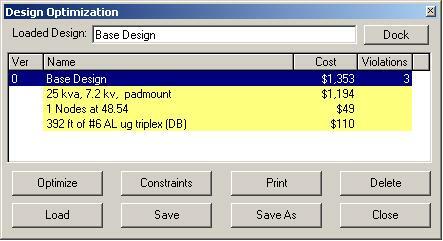 Also, motor types for flicker calculations and coincidence factor categories are also set up by the Administrator. The user simply clicks on one of these standard types, or can directly input data. The administrator can also customize the images used for each component represented in SEDS. To save the user the effort of specifying equipment over and over again, SEDS provides a "data copy" function which transfers the specifications from one load or cable to another with a simple mouse click on the graphic object.